Weird How The Law Applies Differently For People On The Right As It Does For People On The Left…. Society ‘dropped the ball’ on Nikolas Cruz and Travis Reinking. A hero picked it up. 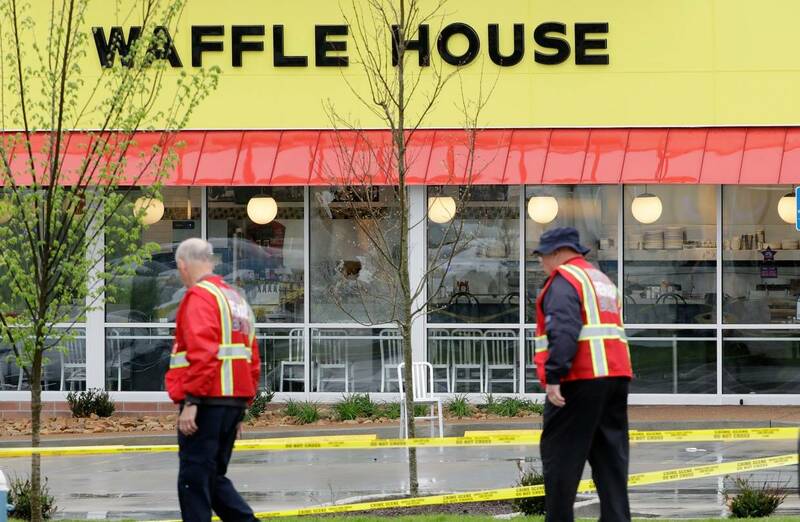 The death toll at a Nashville Waffle House stopped at four because James Shaw pushed back. He says he’s no hero, but men have been awarded the Medal of Honor for acting on the same blink-of-an-eye instinct. Mr. Shaw is not only a hero, but an object lesson in what America once took for granted but no longer does. Over a long time, going back decades, the opposite instinct became the norm in the United States when confronted with threats. The threats could be large, like school shootings and terrorism, or they could be small, daily assaults on the most basic civilized orderings of everyday life. Such as 14-year-old girls using four-letter words. We used to push back instinctively. Then, we routinely began to step aside. The new instinct—don’t do it—happened for all sorts of reasons: You’ll get in trouble with the lawyers. Somebody else is supposed to take care of these things. There must be a better way to understand this problem. Eventually, the simple answer of a James Shaw—“Do it now!”—just died. Join us on Thursday, May 3rd, for the Reagan Club monthly meeting. We will examine the various aspects of Sea Power and how Colorado benefits from a strong Navy, Marine Corps, Coast Guard, and Merchant Marine with retired Navy Intelligence Specialist (and Reagan Club member) Steve Kelly. Member tickets are $20, non-member $25. You can still get early bird tickets for $15 before Tuesday, May 1st. Early registration is encouraged, as it helps us to define our member count for the catering service!